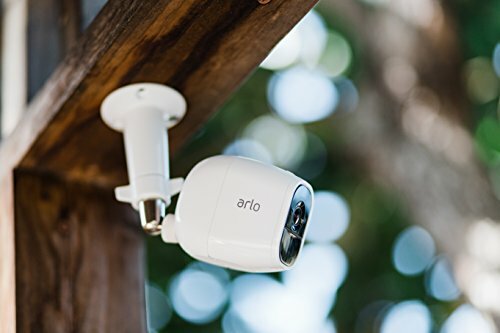 10 Best Outdoor Motion Sensor Lights Review: List in 2019! Living in a private home or in a secluded area is always going to raise security issues. Even when you have walls and gates, when night time comes, darkens seeps in, and you start to hear common sounds with a more paranoid ear. This is why outside lighting is important, and this is why motion activated outside lighting is even more important. You are may be wondering what the all the fuss is about? 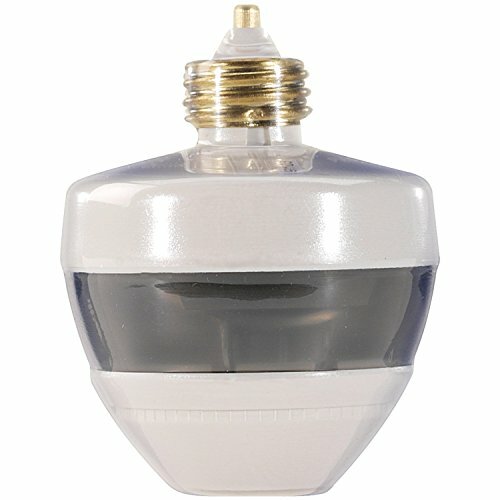 A motion detector with a light attached to it. Well here’s the kicker, it is simple, and amazingly so, that is why its worth your while knowing what to buy. Motion detectors will immediately turn on a light, that is initially to enable you to see who is coming, and when they come, but also as a preventative measure against the invasion of your privacy. Another use of motion detector lighting is for lighting up garages and other dark places without the use of a switch. These little gadgets make life easier in basements and dark places where you visit frequently. If you have a basement that you use for storage or a room that you rarely enter, why bother with a light switch? Just plug in a motion activated light that stays on for a specific period, such as 5 minutes. This will save you in electricity as well providing an easy, forget me lighting system every time you enter and leave. Do you want trade secrets? Sure, you do, so before read on take note that there is an FAQ at the bottom of this review article, check it out, there are some trade secrets that will help you decide. The Hyperikon® LED motion sensor flood light is IP65 waterproofed housed flood light that gives over 45,000 hours of lighting. It delivers a powerful 400 watts. This unit connects to a 120V source and is easy to adjust after installation. Hyperikon is a San Diego based company that produces a fine range of high-quality products. They are reliable and offer great customer service too. 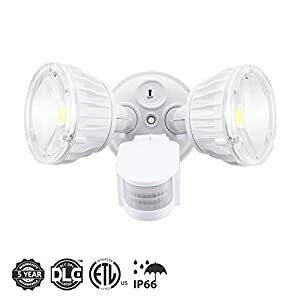 This is one of their brightest security motion lights and comes with a motion detector light switch that can be set to one of three functions. This model is activated using a passive infra-red (PIR) sensor and is fully shock, shatter and vibration resistant. 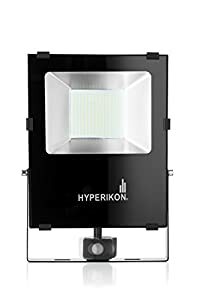 My take: This is a one of the best outdoor motion sensor lights, providing a strong concentrated beam exactly where you want it. It is perfect for home invasion prevention, especially when part of a more comprehensive security system. LED lights last on average between 20,000 to 50,000 hours, this means that you can leave your light on for 12 hours daily over 11 years. LEDs produce no heat, so you don’t get that PIR influence, where heat form the light can interact with the motions sensor. It also means no wasted energy and poisonous metals such as lead or mercury. 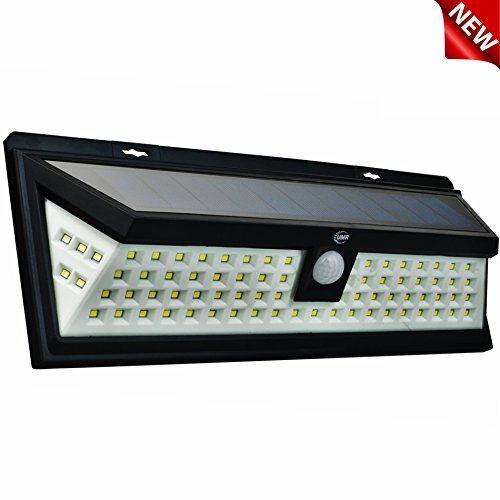 If its superpower you are seeking, then the UMR 80 is a perfect outdoor solar powered security lighting unit. 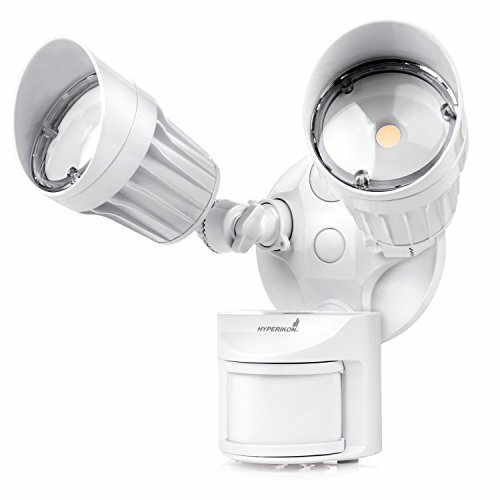 This model uses a passive infrared (PIR) to deliver a whopping 26 ft 120o range of LED light. UMR also added extra LEDs for brighter lighting, a total of 80 LED’s sit in the housing, and an additional 5 LED’s on either side of the housing add that extra punch of brightness you sometimes need for peripheral clarity. The UM 80 is powered by two 1800 mA-hr batteries, and the solar panel provides a generous 17% photovoltaic efficiency. This unit is IP65 water and dust proof and is totally wire-free, so it sits snugly and beautifully in any position. The advantages that a solar panel powered light fixture has is that it is cheaper to operate than standard light packages. The downside is in overcast weather, where there is no direct sunlight. However, in the UM 80- scenario, the battery kicks in to provide the continuous solution in winter. The other advantage is that it makes this unit totally portable. 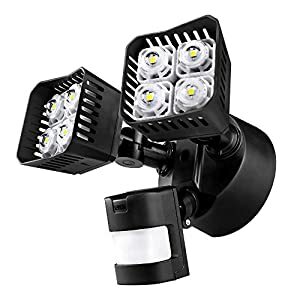 My take: This is one of the best outdoor motion sensor lights around. It is also one of the brightest motion security lights around in this price range. If its power, brightness, and mobility you are seeking, don’t read on, just buy this unit right now. Compared to other floodlights, this one was economical, strong and great value for money. There is no doubt that you will want more than one of these units around your home. Homdox is a double light head unit that can be adjusted to throw light in any direction that is needed. This unit relies on a 110v-130v power source and can provide up to 500w with a range of 150o over 18 meters. The Homdox uses a PIR sensor, and the lighting console comes with a time setting switch that can be set for 5sec, 1min., 5min., and 10min., and the motion detection has an accuracy of 0.6-1.5m/s. You can also set the strength of the light in each setting. My take: There are two units here that will have identical reviews, only because they are identical in design and style, this unit is perfect even for colder climates, in fact, I tried one in the overcast Canadian fall, and it worked beyond expectations. It is a great unit and worth every cent you pay for it. 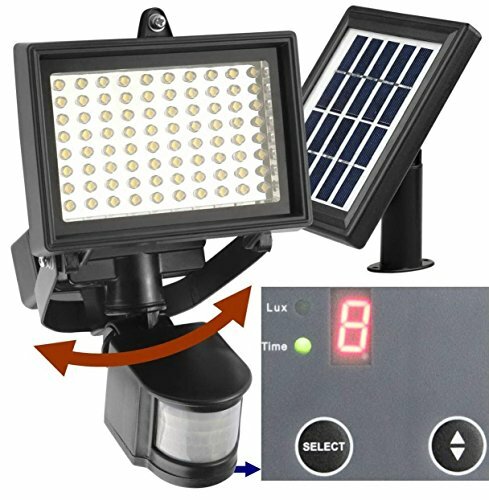 If its energy conservation and power you are seeking in one package, then the DrawGreen solar light unit is the one to get. 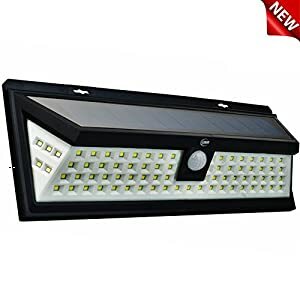 This is a 110w bright LED light powered by solar energy that will give up to 30 hours of light from one 6-hour charge. DrawGreen gives you a 50,000-hour lifespan. The housing is aluminum, built for IP66 freeze and heat proof as well as being water and dust proof. So, this unit is perfect for all your extreme weather residents. This unit uses the standard PIR sensor but provides a 360o range of light, and the sensor detects from 20ft away. The light will provide up to 50 feet of clarity. My take: This unit is perfect even for colder climates, in fact, I tried one in the overcast Canadian fall, and it worked beyond expectations. It is a great unit and worth every cent you pay for it. 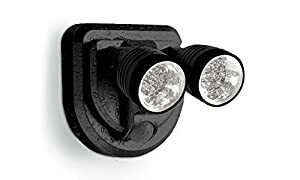 In fact, when it comes to finding the motion sensor outdoor wall light, then this wireless motion sensor light sets the bar for everyone else. This is another fine Hyperikon model. This version is their double head IP65 water and dust proof version that connects to a 120v source and provides 20w of light. This model is very useful for indoor automatic lighting uses, such as basements and garages. The PIR sensors activate a 40 ft leaching beam that can provide up to 180o of light scope. My take: If you are seeking a bright, intense and sturdy lighting unit, and want one that will suit both home and work, place one of these above your front door. ‘Nuff said, no? No! The Hyperikon product is light years ahead of its competitor. Even if it looks similar to other units, this is by far one of the best motion sensor outdoor wall lights on the market. Solar lights secret revealed: Solar lights systems don’t use external wiring, and when attached to a motion sensor, the lifespan of the LED light is, well it’s longer than the time you will most probably reside in the residence. Solar lights are environmentally friendly as well as being easy on the pocket. This means that going green is both good for your pocket greens and your environment. This is a lovely mobile, versatile motion detecting light for any place in your home, store or office. If you are tired of entering storage spaces, or rooms that are used infrequently and never remember where the light switch is, then just swivel one of these and you can forget about lighting issues. This is a great option for any outdoor application and can be placed easily in some outdoor bulb sockets. The motion detector is PIR activated and throws a 360o 100w incandescent light or a 50w fluorescent light. My take: I love it, I have a few around the house, and my outside shingle has a number of these around the house, specifically above each window. This is a very very good buy. When it comes to power and reliability, you will never beat a Sansi system. These are professional commercial manufacturers that specialize in road and stadium lighting, so they know what needs to be delivered. Their light is an ultra-bright 30w powerhouse that lowers your electricity bills by up to 88% when replacing a standard 250w bulb with one of theirs. 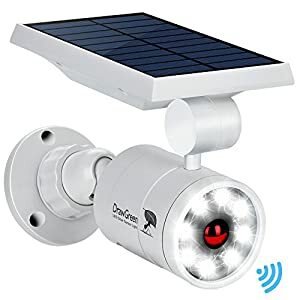 When provided in their motion detection package, this model will deliver three modes of security., a test mode, security mode that can be set to 1, 5 and 10 minutes and the manual motion sensor mode that will set the light to turn on and not go off for 6 hours. The manual mode only works at night. This model comes with a 180° sensing range and reaches just over 50 feet. The system is IP65 water and dust proof and is easy to install. My take: this one is designed to look strong and sturdy and to ward off any trespassers. No really, this is a professional lighting company that produces the best outdoor motion sensor lights with the brightest options. I will let you into a trade secret, what is good enough to light your way home or light up the Yankee stadium, is good enough to be on your front porch. 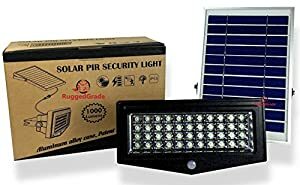 This is a great standalone PIR sensor solar-powered unit that is IP65 water and dustproof, provides a 10w LED array powered by an 89000mAh battery at 3.7 Volts delivering light solutions in 4 different modes. This unit is totally mobile, so you can place it and move it any time you want. The panel housing is aluminum, and the cover is reinforced glass making this literally a rugged grade light. My take: If its bright lights and a stable unit, this is great for those sunny climates. I tried it in Canada and let’s just say, that my test in Arizona was better. Do you want to know something special about this unit? It will work in low sunshine conditions as well, and that’s a fact. The Frostfire solar led outdoor light is a simple to install and simple to use lighting system. It comes with a standard PIR sensor that sets off the light for a 10-second spurt. The power is 0.44w provided by solar power charged battery cells. This is a really simple light and best for budget-friendly requirements. The light sensor is activated by a 3-meter invasion, and it has a 50,000-hour lifetime. My take: This is a real budget-friendly and simple solution, I would set this one above a garage or windows around a secluded house. Look: This is a really simple unit, but it delivers like a pro. You might be thinking, this is crazy, what’s so special about this unit? Here’s the deal: absolutely nothing, its straight forward, a great deal, simple, inexpensive and easy to install. This is another robust model, and I mean robust as in strong and reliable. 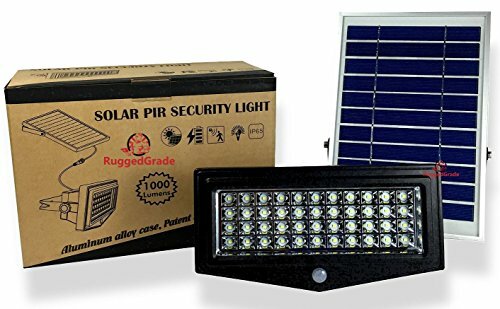 The Robust Solar 80 provides PIR range of 16 to 32 feet detection accuracy. This unit is powered by a 3W polycrystalline solar panel that is connected to a 4000 mAh lithium-ion battery. The battery will provide a 6-8-hour light option at night. The LED display is made up of 80 LED diodes set in an aluminum body. My take: This is a very conservative unit, mobile and stable. If you want a panel light to flood one specific area, then this unit is perfect for your needs. It’s great motion sensor porch light. The solar powered battery is actually stronger than most competitors and provides up to 8 hours of continuous light. The bottom line: once you have installed one of these, you will want to install more to cover every area around your home. Why waste time, get a full package, work out your home needs and cover every angle of approach. A minimum of four will sort out most home requirements. This is the most common system used, and it works on combined heat and movement detection. This allows the system to differentiate between trees and other moving objects that are cold, and larger warm objects such as humans and animals. PIR works in a grid, and once a set number of grids are activated the sensor triggers the light or alarm system. These work like sonar, they send out microwave pulses that “ping” of objects. While they cover larger areas than PIR, they are more vulnerable to interference and are much more expensive than PIR. This system also works like sonar, only in this case it pings IR off the objects. This is a classic sonar reflector system, it pings ultrasonic waves and detects reflections. These seniors are like small seismographs, the detect motion through vibrations, and are great for installing under floors. These are units that combine two or more technologies to provide a more accurate and less beatable motion detection system. They are also less prone to false alarms. Dual systems might include PIR and Microwave, or PIR and Ultrasonic…or any matrix of two systems. All option detection units have specific design installation requirements. It is important to read the instructions and know how high and how far the detector should be placed for optimum performance. Since most motion detectors are not fooled proof, you should consider locating them in places that will less likely trigger false alarms. For instance, keep them away from heating vents or fields that have grazing animals. Place them in bottlenecks, or choke points, these are areas that people have to go through when trespassing on your property. Take into account that walking in parallel to the sensor is more accurate than walking towards a sensor. So, when you place the sensor, try to give it an angle to the intended final destination, such as your front doorstep. If you are installing a standard power source unit, then these tips are for you. Turn off the power source, not just the junction box, but preferably the whole circuit. Double check by using a tester screwdriver to see there is no power source on. Install a new electrical box to house your system’s wiring, make sure it is waterproof. You can also use the old one if it’s in the vicinity of the installation. In some instances, you won’t have a junction box, and you might need to extend a cable from the closest wall socket. If you choose this way, make sure you secure the connections against humidity and water. Mount the sensors according to the instruction manual you received with the kit. Make sure you seal the wires through a rubber gasket and connect the hot (black), Neutral (white) and ground (green/yellow) with their appropriate connectors in the unit. When you close the box, make sure the rubber gasket is in place between the lid and the body, this ensures waterproofing. If necessary, apply a silicone sealer on the sides. Now adjust the position of the sensor to the direction you want to be covered. Now test the system and fine-tune your adjustments. Set the detectors range and set the timing features. If needed, you can cover some of the sensors face with tape, this will narrow its field of view. Make sure you double check waterproofing, wherever you think there will be an issue, apply silicone sealer. Make sure you angle the lights downwards or buy and install a bulb seal, this will make sure the bulb is secured in rainy and stormy weather. Try to maintain a safe distance from the detector and the bulb, sometimes heat from the bulb can either confuse the detector or impinge on its accuracy.